Ideal for business retreats, corporate events, association meetings and conferences, our Orlando central hotel features 50,000 sq. 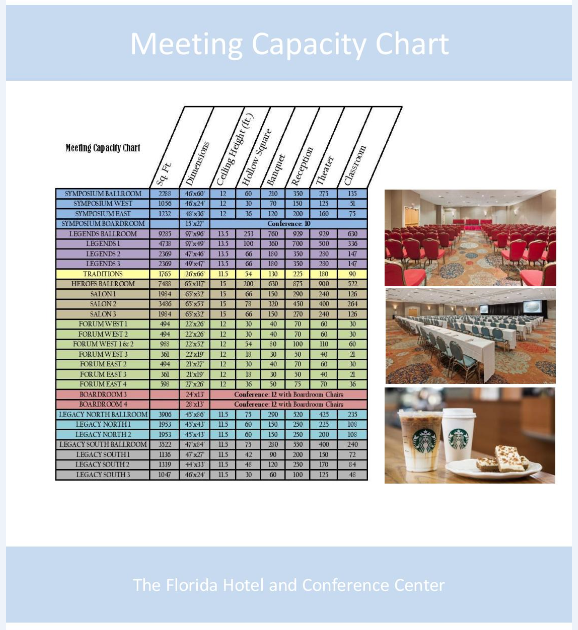 ft. of flexible meeting and event space, easily set up in a multitude of configurations. Event planning experts paired with our on site catering team, are poised to motivate and delight your guests. Additionally, our meeting group guests have an opportunity to save big on Walt Disney World® Theme Park admissions. View our site to learn more.